Crisp romaine, shaved parmesan, and croutons, served with a light housemade Caesar dressing. Spinach, roasted red bell peppers, red onions, capers, and crispy pancetta. Served with a roasted tomato vinaigrette. Mixed greens salad with carrots, cucumbers, tomatoes, red onions, mushrooms, and croutons. Served with a sweet Italian vinaigrette. Crisp romaine, thick sliced salami, pepperoncini, red onion, grape tomatoes, kalamata olives, artichoke hearts, and fresh mozzarella. Served with a red wine vinaigrette. A Mediterranean twist on an American classic. 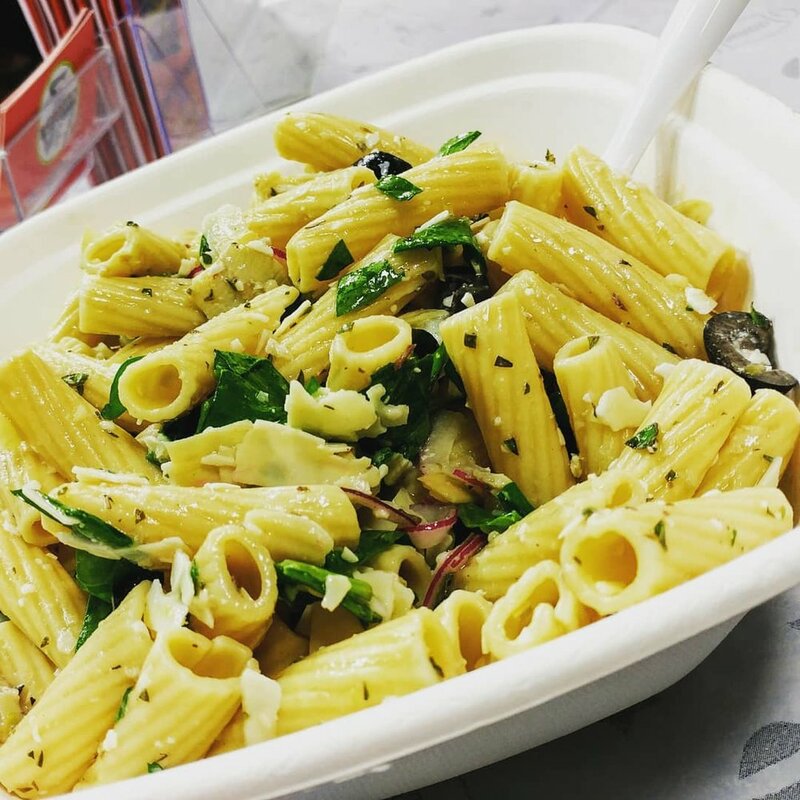 Kalamata olives, shaved parmesan, roasted red peppers, red onion, fennel and capers, fresh herbs tossed in a white wine vinaigrette. 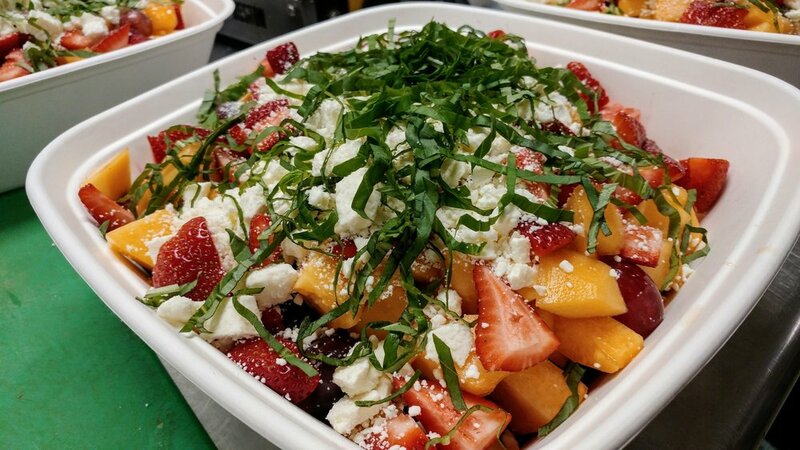 Cantaloupe, red grapes, strawberries, feta, and fresh basil.